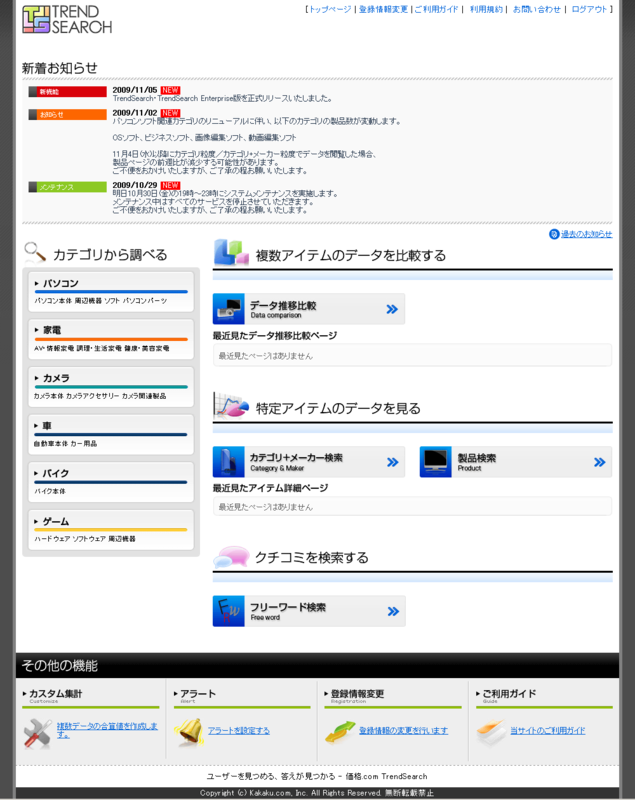 Major price comparing service website "Kakaku.com" opened a site for "Kakaku.com Trend Search Enterprise edition". 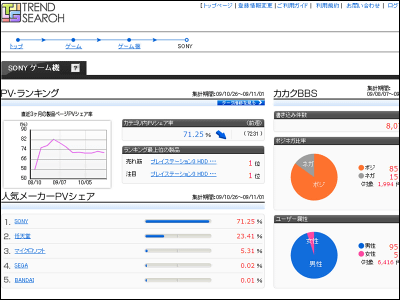 The service enables users to see and download trends of products and services compared on the site through analysing enourmous logs. The analysis can be made not only on a single product but also on two or more products at the same time. So you could now "Which is more eye-catching, Sony or Apple" easily with visualizations. Accoriding to Kakaku.com, more and more consumers are using the Internet to compare prices and qualities of products before they actually buy them. So, to make customers buy the particular products, you must know customers' behavior "before" their purchase. 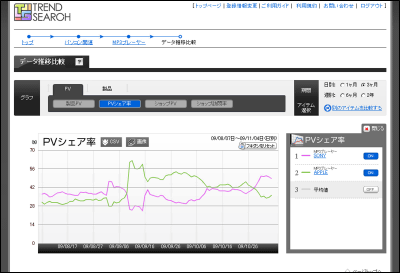 Numbers like viewer rates and POS datas are now useless to know trend, for these only show the result of customers' decision. 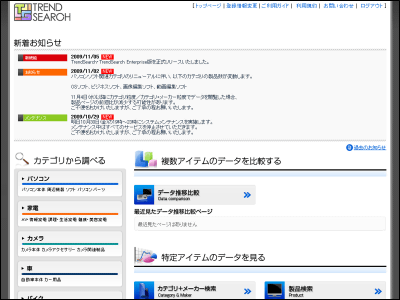 "Kakaku.com Trend Search Enterprise edition" shows more than 30 kinds of datas , such as "Page Views", "Average Prices", "Shop Visit Frequency", "Number of shops handling the product" and such, on over two million products in 209 categories from electronic devices to automobiles. It's basically a paid service but it's free to see basic datas. 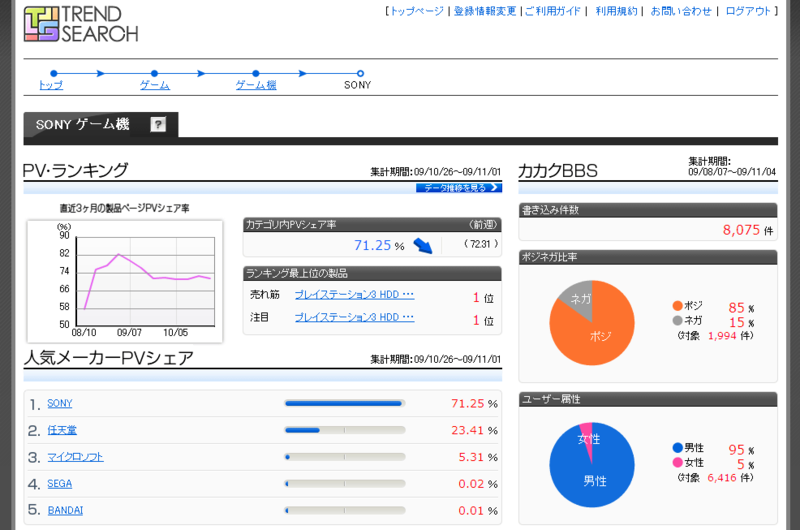 Here's the data for search query "Sony's game console". 85% of logs on users' forum is positive while 15％ is negative. 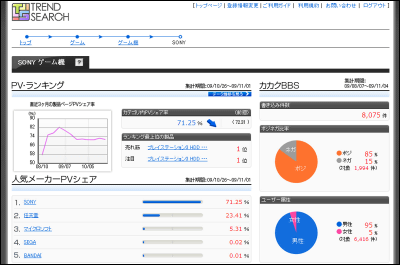 Number of Page View pops up after Aug. 19's announcemnt on new slimmer PS3 console. The comparison between Apple and Sony on portable music player. 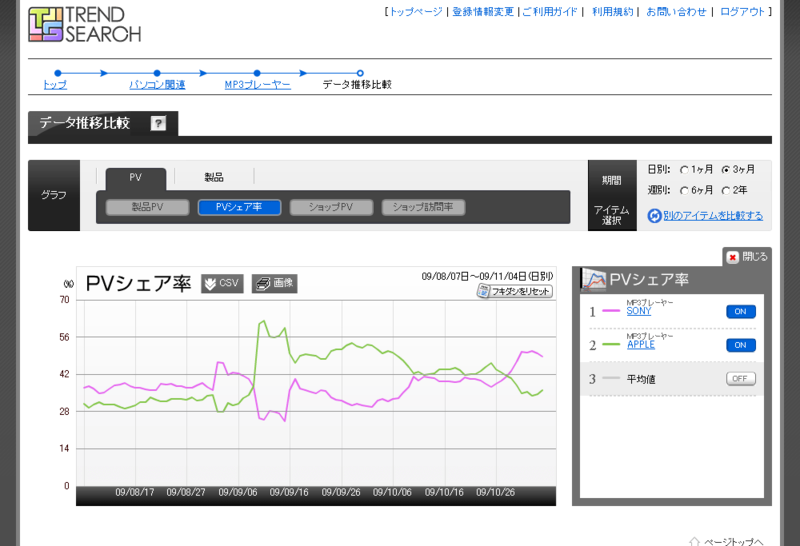 The share on total PV turned back on middle September, when new Walkman was announced. If you are interested, follow the link below.